3 bedroom detached property located in a quiet cul-de-sac in Conyer. This property offers spacious accommodation. To the ground floor there is a large kitchen diner, leading out into a bright and airy conservatory. A well proportioned lounge with an exposed brick feature wall. There is also a study to the front of the property and a downstairs cloakroom. Upstairs there are 3 double bedrooms. There is a family bathroom and also an en-suite in the master bedroom. To the front of the property there is parking for several cars and a garage. The garden to the rear is a generous size perfect for outside entertaining. 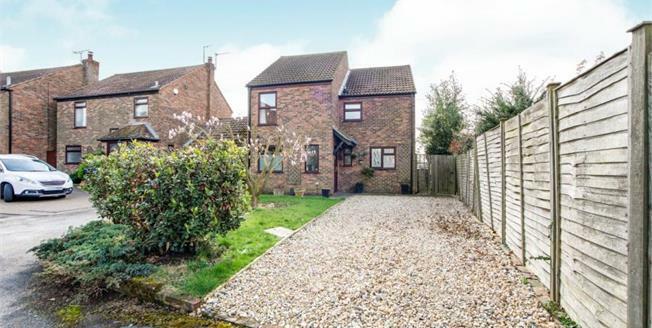 Conyer is set in a quiet village with wonderful waterside walks. The boatyard, marina and The Ship public house/restaurant makes this a super retreat for peaceful living.